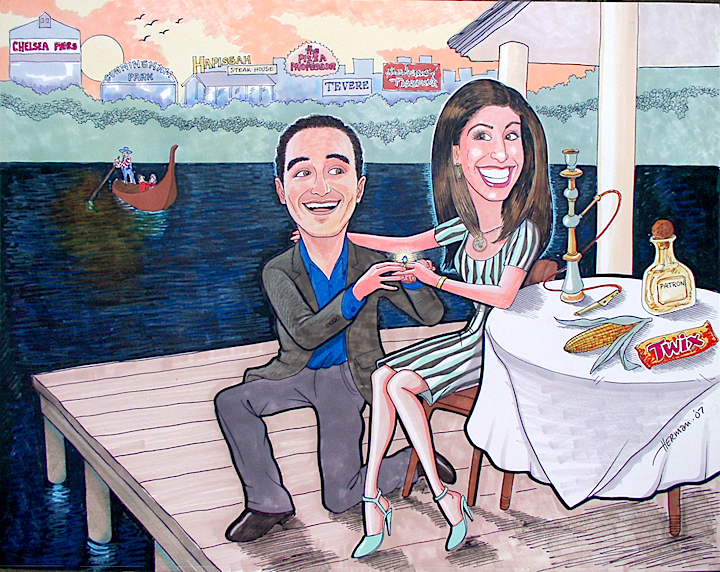 Herman is often asked to paint scenes of the moment when the fiance proposes to his bride-to-be. 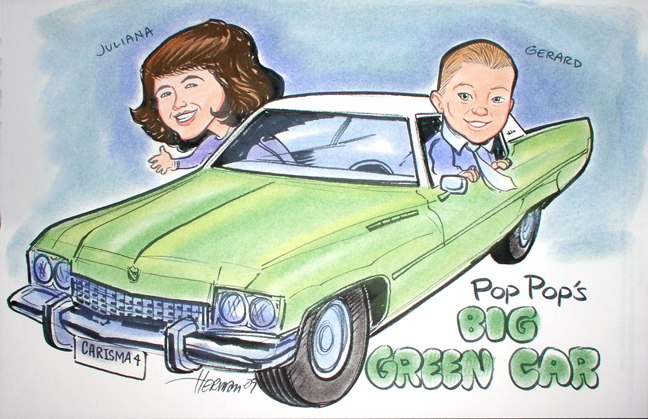 Sometimes the man uses these creatively as an integral part of the process, as in these two examples: one, at Terrace In The Sky in Manhattan; the other; on a dinner cruise around manhattan. 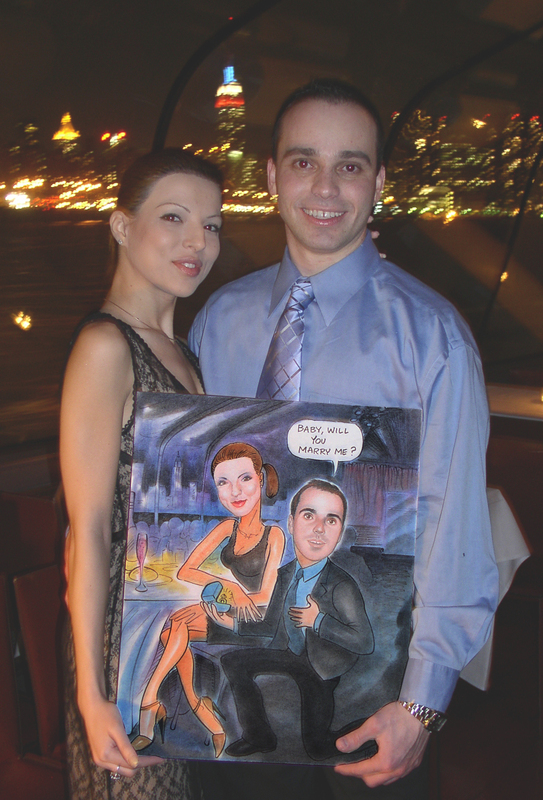 Groom-to-be presents huge rock to astonished fiance at Terrace In The Sky in upper NYC in this portrait used by the Groom-to-be as part of his proposal. 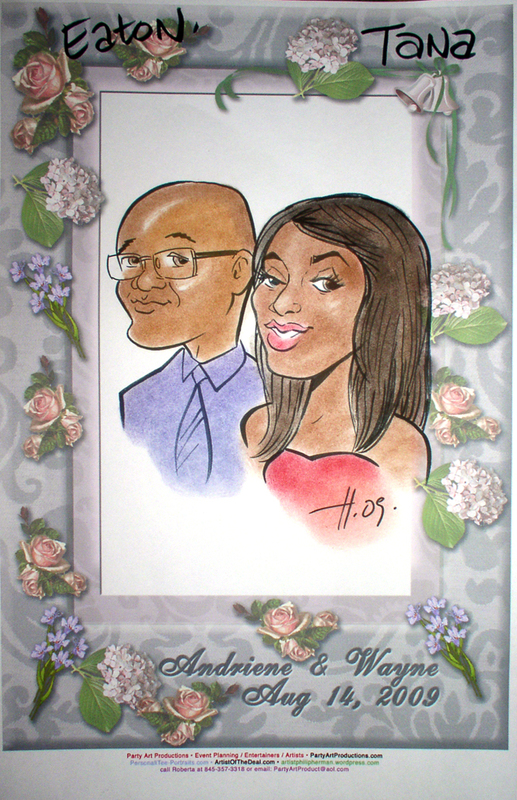 In this ingenious idea, Herman is hired by the Groom-to-be to actually be on the cruise, posing as artist-in-residence and pretending to draw the infatuated couple as the man proposes. 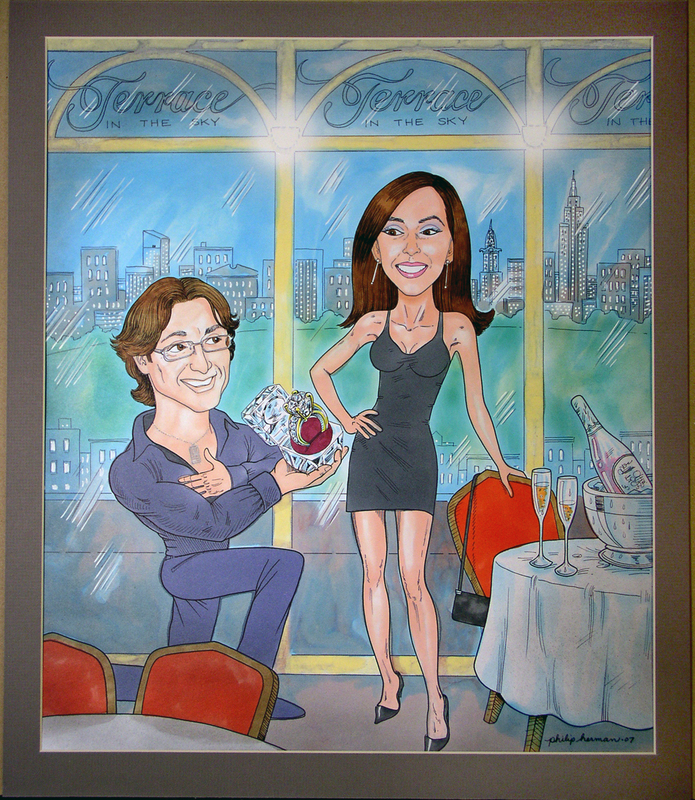 In this instance, Herman was hired to be at Tavern On The Green in Central Park and pretend to draw the couple as the man proposes to her. 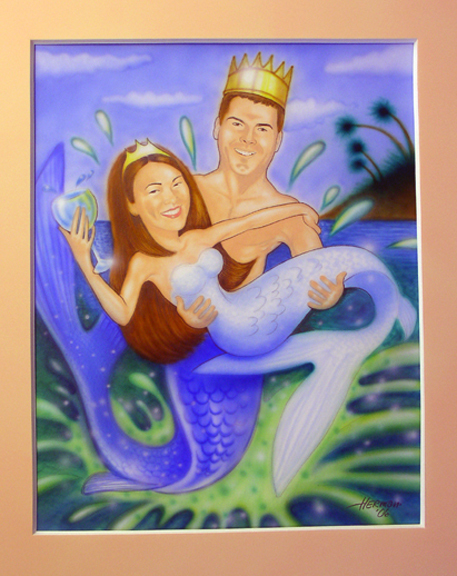 As a Sign-In-Board at their wedding, with a border for guests to sign on, Herman depicted the wedding couple as Merman and Mermaid. 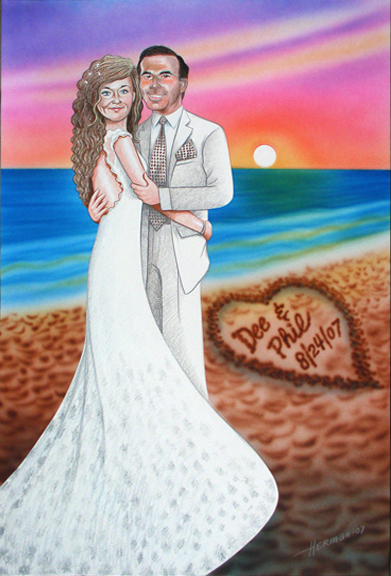 Airbrushed on their favorite beach at sunset as a Sign-In-Board for their guests to sign on the border at the wedding reception. 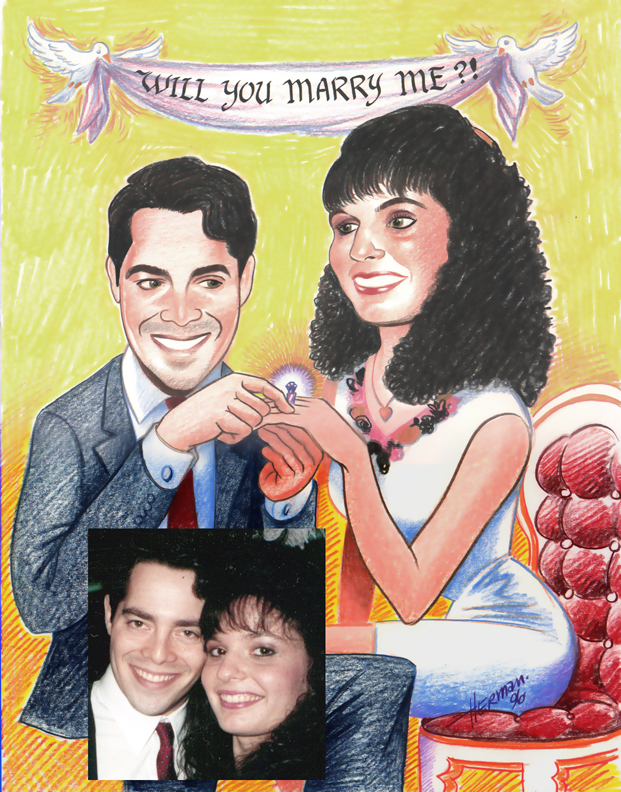 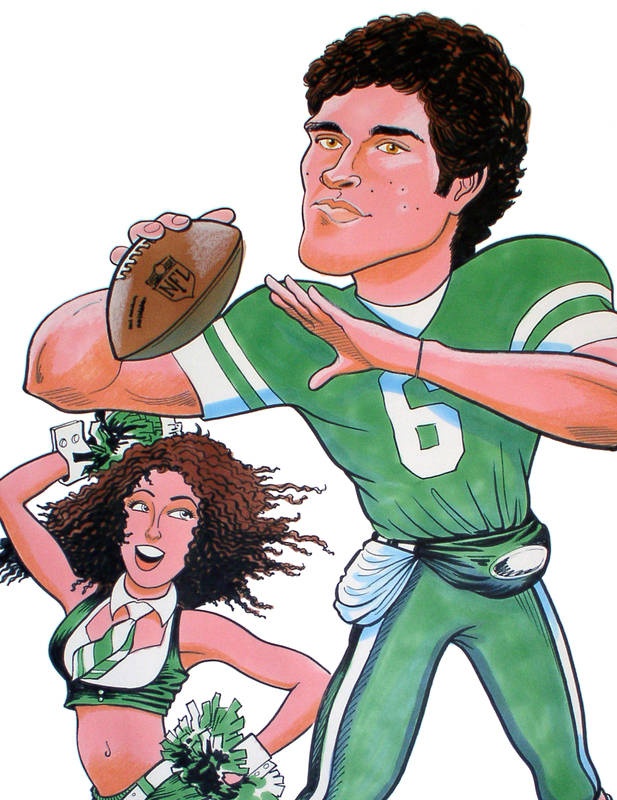 This painting was used as the wedding invitation by an unconventional couple from NYC getting married in Ohio. 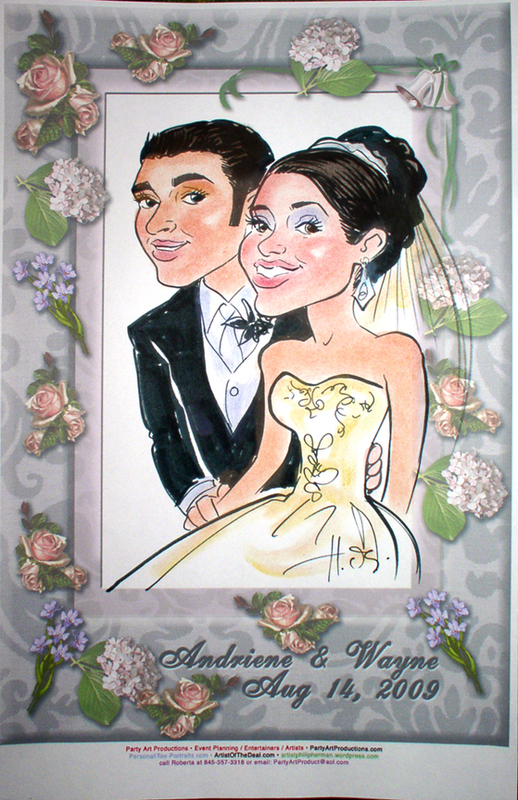 This bride & groom met as lifeguards, and wanted to be painted that way by Herman on their Sign-In-Board. 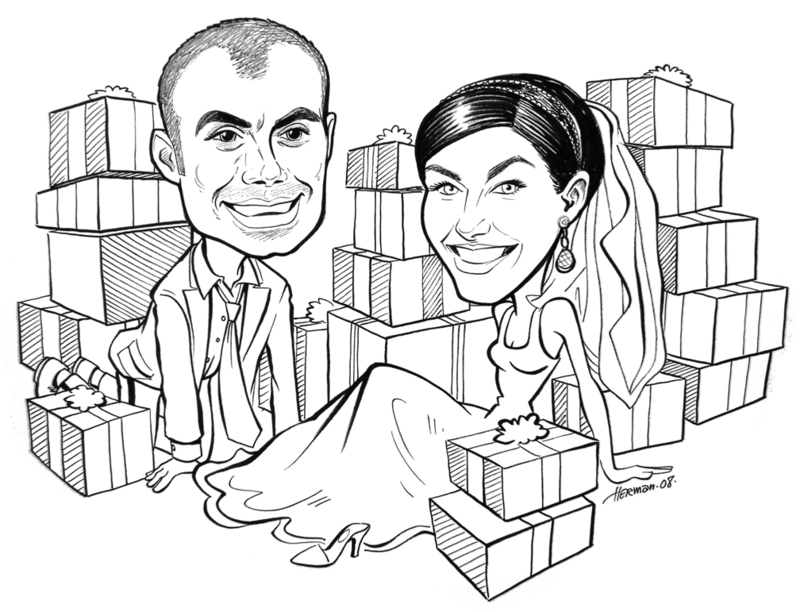 This B&W line drawing was used as a thank you card to all the guests who gave gifts. 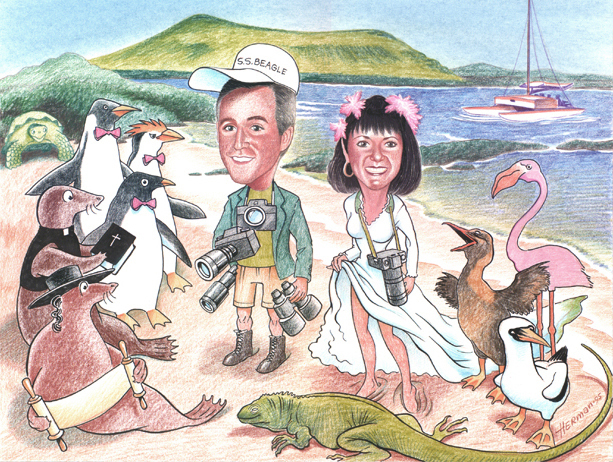 This painting by Herman of an adventurous couple in the Galapagos was used as an invite and then framed as a portrait. 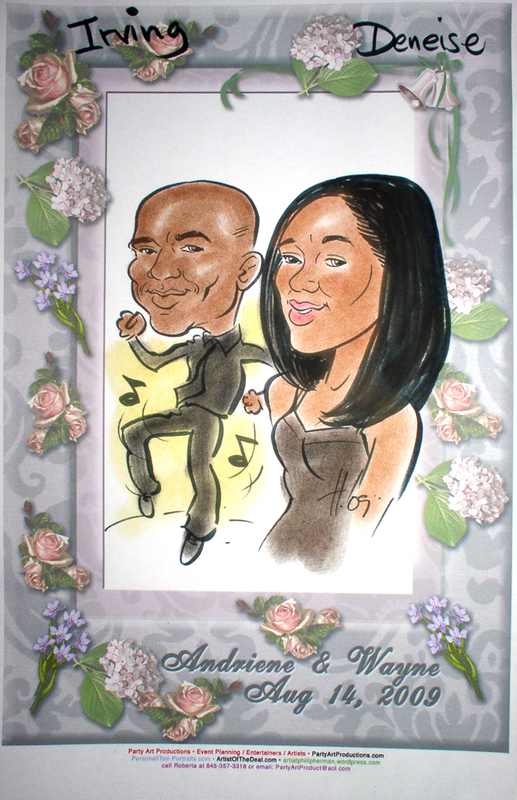 Herman & some of his select artists also draw at wedding receptions as entertainment, sometimes creating special paper commemorating the event. 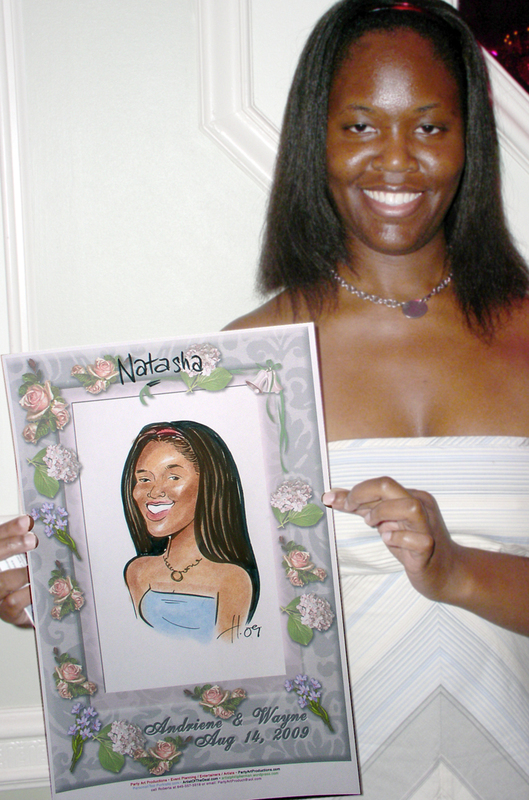 Herman managed to draw some caricatures and portraits before yet another rainstorm hit the NYC area. 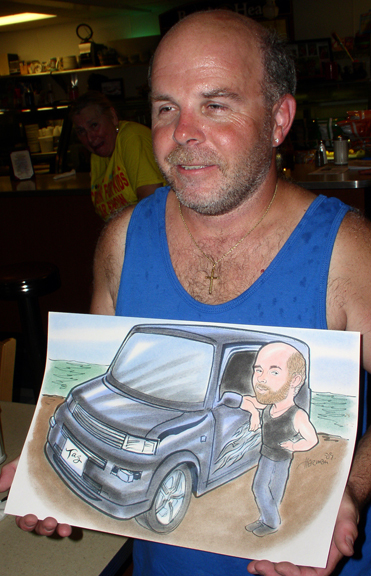 You are currently browsing the Artistphilipherman's Weblog blog archives for August, 2009.